RACHELLE: Can you tell me a little bit about what you do with Spoken Word Poetry? TONIA: I write spoken word, often based on or inspired by Chassidus. Even if I’m not writing about a direct chassidic concept, the entire chassidic outlook is so enmeshed in my life that it becomes hard to differentiate between chassidic concepts and my own perception. Art helps put Chassidus into a language I can understand, and the process of writing transforms the ideas from esoteric to practical. I really believe that the the point of art is the process. And I often find that theme in my poetry – the celebration of the small battles and the constant trying. It is such a core concept in Chassidus. That the point of this entire life is not in a finished line of perfection; it’s in the trying, in the beautiful and in the mess, in the process and in the continuous becoming. The process of writing is what I love about poetry. It’s working through something, sinking into its journey and the discoveries about yourself and the world around you that comes with its evolution. RACHELLE: How did you get started with Spoken Word? TONIA: In 10th grade my friend showed me a spoken word poem online. I had always been into writing and kept a journal, and this new form of expression had me hooked. Within days, I was performing random spoken word poetry for my friends at lunch until my friend finally turned to me and said, “Why are you memorizing someone else’s poems? Write your own.” So I did. The initial, crucial feedback was so positive and I kept writing. As I got older, my style grew and changed. RACHELLE: In what ways has your style evolved? TONIA: As I matured, and began to value Chassidus more and more, it became easier to express these ideas in poetry. Writing helps me clarify what I’m learning, and pushes me to recognize the spiritual aspect in the mundane. RACHELL: Is there anyone specific who encouraged you to find your own voice? TONIA: My mother always reminded me that since I’m a frum (observant) jew, I have a special voice. I am privileged to have been raised with a chassidic mindset. 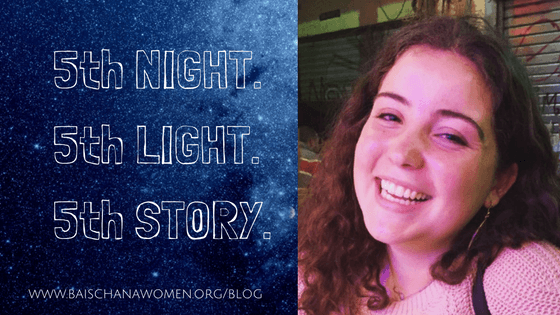 Being a chossid charges me with a mission – to use my poetry to spread light. RACHELLE: What does your poetry mean to you? TONIA: My poetry always feels like a gift, like a bolt of clarity. When you write, everything you are comes out, and the connections that happen in the written word feels like a blessing each time anew. Sometimes, I’ll find that an entire maamer (chassidic discourse) sneaked its way into a one liner of a poem seemingly unrelated. It is beautiful to watch the way that the pervading light of a maamer can make its way into a trivial poem about my life… bridging the divide, in a tiny way, between who I am right now and who I strive to become. RACHELLE: You talked about how your Spoken Word is based on Chassidus. That seems to set you apart from most other Spoken Word poets. TONIA: Most spoken word poetry carries heavy angst and darkness. Sometimes, I find that the message in modern day poetry is constantly stressing what the world isn’t. But there is so much that the world IS. The world is full of light and beauty. Chassidus teaches us that when you look at a rock, it’s not just a rock. It’s teeming with G-dly sparks that have been waiting for years for you to come along and elevate them. There is an entire universe of G-dly potential in everything we encounter. I strive to make these sparks vivid in my life and in my poetry. Honestly, to me, Chassidus is the highest form of poetry. it makes you look twice at things – forces you to reconsider – and teaches you that nothing ends at the surface. If reminds me that everything in this world is just a shell for a universe worth of meaning. And that perspective extends far beyond the poetry itself; every person has the ability to tap into the transcendent quality of this physical world. RACHELLE: Have you ever performed in front of a large crowd? TONIA: I started off in my classroom, pulling friends aside, saying, “Hey, meet you at the corner of the hallway for a poetry slam.” Since then, though, I’ve been lucky enough to be able to share in other ways as well. I performed at the Chabad’s international high school convention last year, at some women’s clubs, at Chabad houses, and I recently recorded a poem for a film I created for my family’s chabad house. RACHELLE: How do you see your work as being contrary to other people’s spoken word? TONIA: A huge element of spoken word poetry is the passion and feeling it is infused with. I think my poetry is unique in where that passion comes from. It’s so much easier to bump into a friend on the street and bemoan the cold than to celebrate the beautiful weather. Nobody needs help feeling the cold. We all feel it. But lighting a fire is a thousand times more powerful. I want my poetry to lift people up. As chassidim, we were empowered to be lamplighters. So as a chassid, writing poetry, it’s only natural that that strong passion should be directed towards something that adds light vs intensifying the darkness. We all, at different times, just need to be re-centered to who we are at our core. Chassidus reminds us to listen a little more closely to our soul. My words help me give my soul a little more screen time. To look twice at things that strike me. To dig deeper. It helps fuzz out the disturbances of our crazy, physical world. Modern art sometimes seems to be about digging into the craziness, into the physicality, into the deepest, darkest well within and writing about it. People connect to it, but who needs help connecting to darkness? My objective is to dig into the deepest, brightest parts of my essence and hopefully, to touch that part in others. RACHELLE: How did Bais Chana influence you and your poetry? 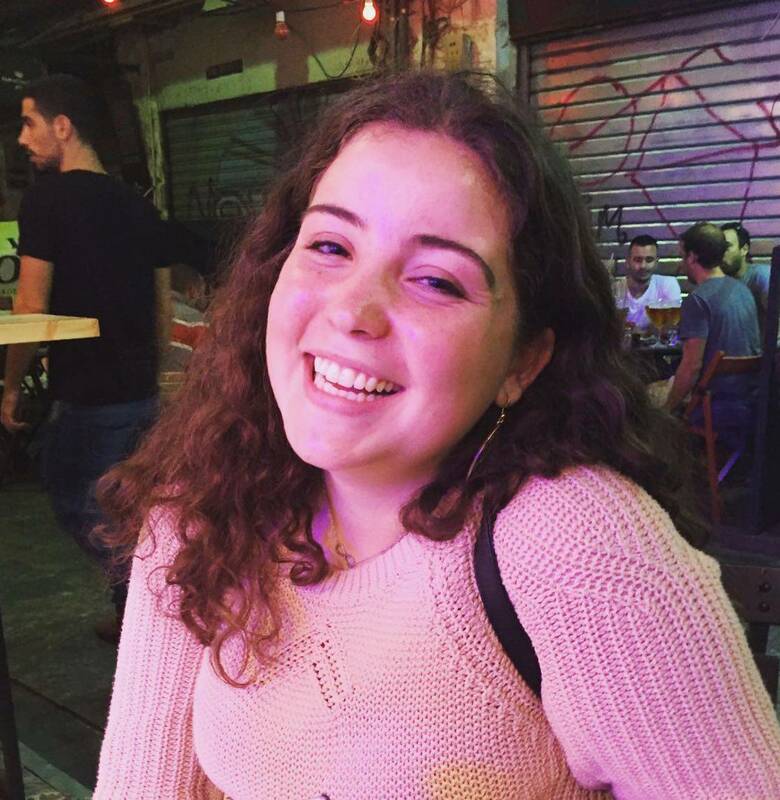 TONIA: I went to Bais Chana [Jewish UnCamp] coming out of 11th grade – about a year and a half ago. I was writing poetry before, but it was awesome to have the opportunity to share in that setting. Whether it is hidden or revealed, we all always have that feeling pulsing inside. And that understanding of every person’s innate desire to climb has really influenced my poetry. It doesn’t matter what people do or how they’re doing it. Bais Chana sees people for who they can be. I truly believe that Hinda Leah sees people as the highest version of themselves. Her entire outlook strips it down to your soul, to who you are, untainted or touched by anything the world has thrown at you. And there’s nothing in the world more empowering and important than knowing that no matter what, in essence, you are pure.